Nowadays, there are all sorts of colors, shapes and materials for Christmas trees. Are you more into artificial or natural trees? Both have advantages, but an artificial tree is particularly suitable in certain cases. Indeed, it reduces the risk of fires, it does not cause any allergies, it is solid and its lifetime is five times longer than a natural tree. Are you tired of throwing away you tree after Christmas? Are you tired of the smell of the tree? Are you worried about security? Having an artificial Christmas tree is a way to avoid risks. Sapins.be offers green artificial trees of the highest quality. From 120 to 210 cm. A Christmas without tree has no meaning. Unfortunately, a natural tree takes sometimes a lot of time and energy. 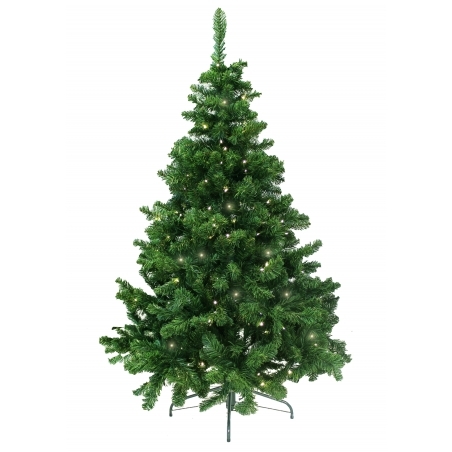 An artificial tree is smart alternative to a Nordmann tree and looks exactly like a real one. It is as elegant but much more practical. Reusable. The artificial tree is reusable for at least five years (if you take good care of it). It is a real investment in the long term. It does not lose its needles and stays green. Order it whenever you want. If you want to start decorating your interior on the 1st of December, artificial trees are already available. Practice. The tree is delivered in many pieces, it can be stored easily. It is strong and stable. The artificial green tree stands up by itself. Easy to decorate. Large but not too much, just enough to be easy to decorate. No odor, no allergenic effect. It is not dirty and is easy to maintain. LEARN MORE ABOUT OUR DELIVERY SERVICES AND DECORATION IDEAS OF SAPINS.BE?